Ready to experience the benefits of epoxy flooring in your home or business? Our epoxy flooring contractors use only high-grade 100% solids epoxy products to deliver superior results every time. We combine high-quality epoxy with thorough preparation of your concrete floor for a long-lasting bond and beautiful final results that can last up to 20 years. Our Boise, ID epoxy flooring installers serve homeowners and business owners with cost-effective epoxy systems customized to your needs. With unlimited design options, incredible durability, and unrivaled longevity, epoxy flooring is a smart investment that will pay off for many years to come. What Does Epoxy Flooring in Boise Offer? There’s a lot to like about epoxy flooring. It looks great and lasts for 10-20 years without showing wear and tear. It can hold up well in demanding commercial settings yet it comes with a low installation cost. 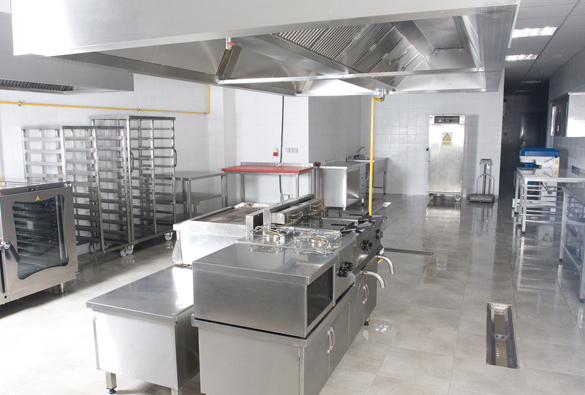 Boise epoxy floors are formulated for even the harshest conditions like manufacturing plants, commercial kitchens, hospitals, and factories. Despite this resilience, epoxy flooring is attractive enough for residential use, including basements, garages, and elsewhere in the home. It’s hard to beat epoxy when it comes to durability, longevity, and decorative finish options. 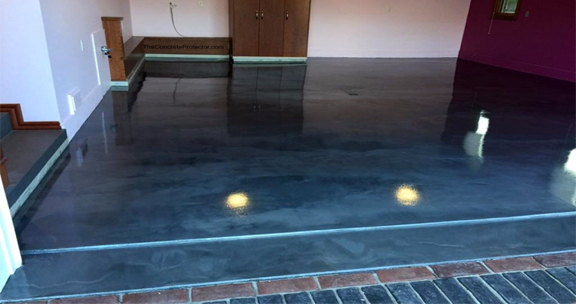 Garage coatings in Boise, Idaho stop concrete dusting and transform a cold, dark basement into a bright and welcoming space that’s easy to clean. 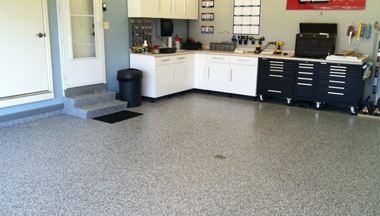 Garage floor epoxy is affordable and can easily last 10-20 years without much care at all. It holds up against oil and gas spills, hot tires, and other forms of damage without showing its age. In the basement, an epoxy flooring coating instantly brightens the space and can even withstand flooding without damage. 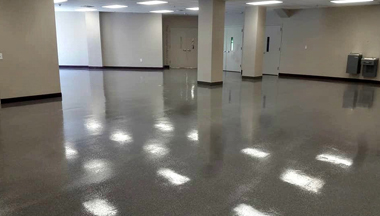 We specialize in epoxy flooring in Boise, Idaho with a range of services to give your space an attractive and low-care floor system without the high cost. We serve residential customers as well as facility owners with a full line of industrial-grade epoxy systems that can be customized to your needs. Your garage may be a dusty, unorganized storage area now but it doesn’t need to stay that way. 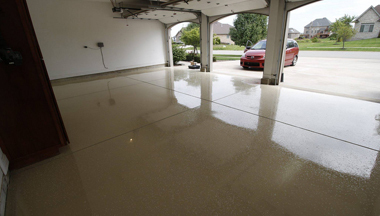 Garage floor epoxy in Boise, ID is an affordable way to give your garage a facelift and even boost your home’s value. An epoxy garage floor coating offers the ultimate in durability with a decorative finish and seamless installation perfect for a home gym or workshop. It’s even strong enough that it’s used in auto repair shops. The basement is one of the most challenging areas of the home when it comes to choosing flooring. You want a floor system that’s durable yet built to withstand the unique perils of a basement, especially moisture. Carpet and laminate will quickly wear out, warp, and develop musty aromas but an epoxy floor coating can last up to 20 years and even withstand a basement flood without needing to be replaced. It also makes your basement bright with a seamless, decorative floor that’s easy to clean. One of the most popular decorative options for epoxy flooring in Boise, Idaho is an epoxy flake or chip floor system. We broadcast your choice of colored flakes over the entire surface of your floor in a uniform fashion to add visual interest as well as a safe, non-slip texture to your floor. Flake epoxy is also known as granite flake epoxy because it resembles granite when you choose natural colors like black, tan, beige, and white. 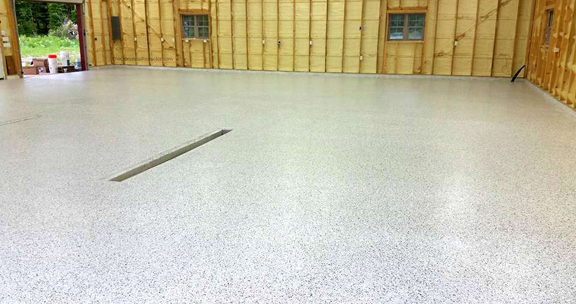 There’s no comparison for the elegance of a metallic epoxy garage floor. Metallic epoxy coatings are achieved by applying colorful metallic pigments over your base coat then agitating the pigments using solvents and tools to give the illusion of depth and movement. A metallic epoxy floor truly looks three-dimensional and it can be made to resemble molten metal, rippling water, marble flooring, and much more. Our quartz epoxy systems are developed to look amazing and perform in even the most demanding environments. Quartz epoxy flooring in Boise, ID comes in a huge array of colors with colored quartz granules added to the epoxy system for greater traction, durability, and texture. A quartz epoxy system can be well-suited to retail stores, hotel lobbies, and other commercial settings as well as garages.